When I was doing my PhD in Aberdeen I got involved in lots of excellent side-projects. We initiated a 6.30am indoor soccer game every week called “No-Dicks Football” which invited people to enjoy the beautiful game without suffering the beautiful egos that often mar matches featuring 30-something failed maestros. There was “Whisky Fridays” in our office once a month, which invited people to enjoy the beautiful Scottish beverage without worrying that the people you were talking with would be bored by your effusive discussion of theology. 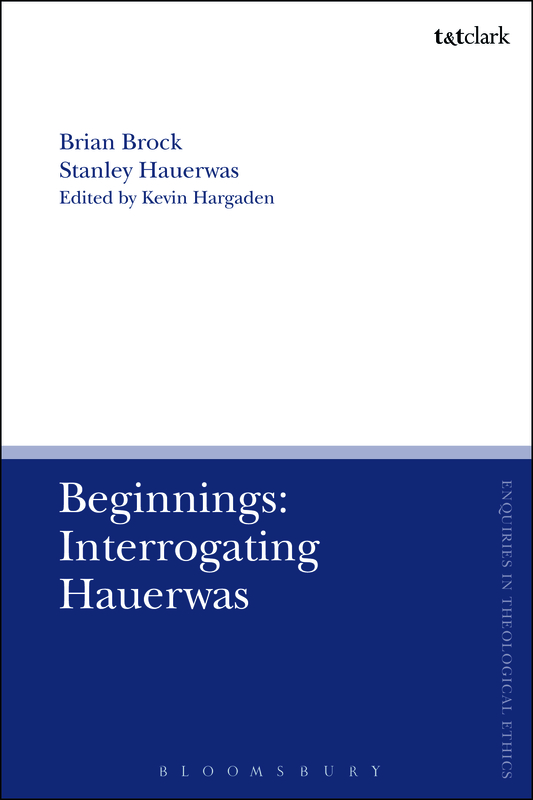 I also put a book together with my teachers and friends, Brian Brock and Stanley Hauerwas. I promise you, the content is more interesting than the cover. The book took a few years to put together. It takes the form of a long-running conversation between Brian and Stanley. 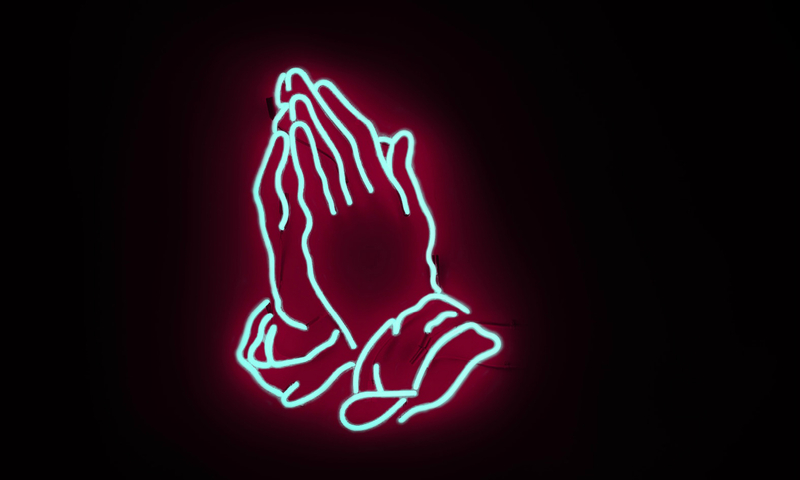 Stanley is one of the most significant theological figures of the last four decades and his work is commonly mis-read, as much by his fans as by his critics. This book represents a unique attempt to probe the gaps that mark Hauerwas’ work and to discern connections that are easily missed because of the non-systematic way that Stanley has gone about writing. I am obviously biased, but as long as Nicholas Healy and Sam Wells aren’t in the room, I am happy to declare that this is the definitive guide to reading Stanley’s work. Brian is not nearly so well-known, but that, my friends, is a matter of time, and for those who want in close to the ground-floor, this text shows you how remarkable a reader Brock is. Most fundamentally, the work is notable because of its form. It is a conversation. It takes place over years. It is a testimony of friendship and it demonstrates the sort of generous listening that should mark theological deliberation. Even though the Academy insists we all play alone, theology is not a solo sport. All these ideas and more will be explored on June 30th at the All Hallows campus of Dublin City University at the symposium and book launch the theology department are hosting in honour of this book. It is the first time that Brian, Stanley and I have been on hand to do our “Theological Pals” act outside of Aberdeen. 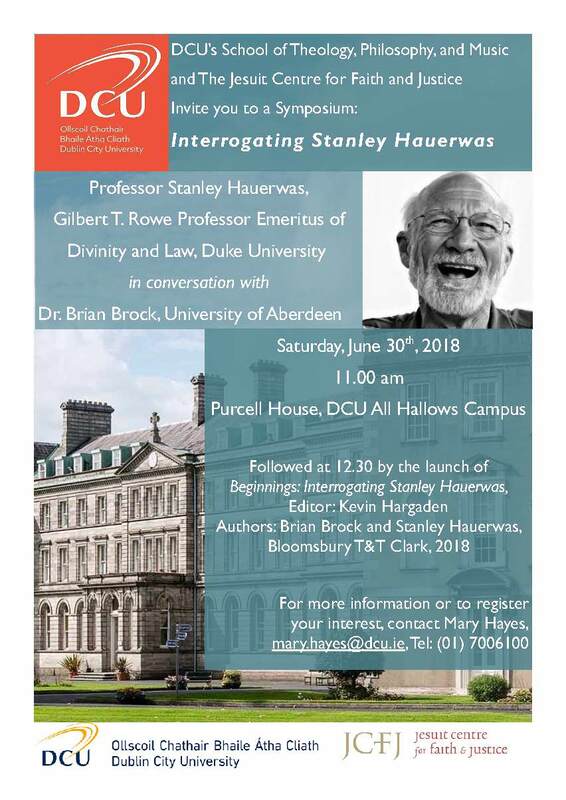 There’ll be 2 short papers by Brock and Hauerwas, lots of time for Q&A, the book will be launched by Enda McDonagh, and we’ll pour wine and toast the joy of theology, friendship, and theological friendship together. Anyone reading this blog should know that they are most welcome to join us. All the information you could possibly need is here. Should you need any further information, feel free to contact me. Your Correspondent, He’s getting the epiphany sweats! Milton Friedman is a Nobel memorial prize winning economist (1976). He was a prominent faculty member at the University of Chicago and a significant shaper of what has come to be known as neoliberalism. I was astounded to find among the stacks in the Jesuit Library that Friedman had written a short essay [Milton Friedman, “Goods in Conflict?,” in A New Worldly Order, ed. George Weigel (Lanham, MD: Ethics and Public Policy Center, 1983), 75-77.] 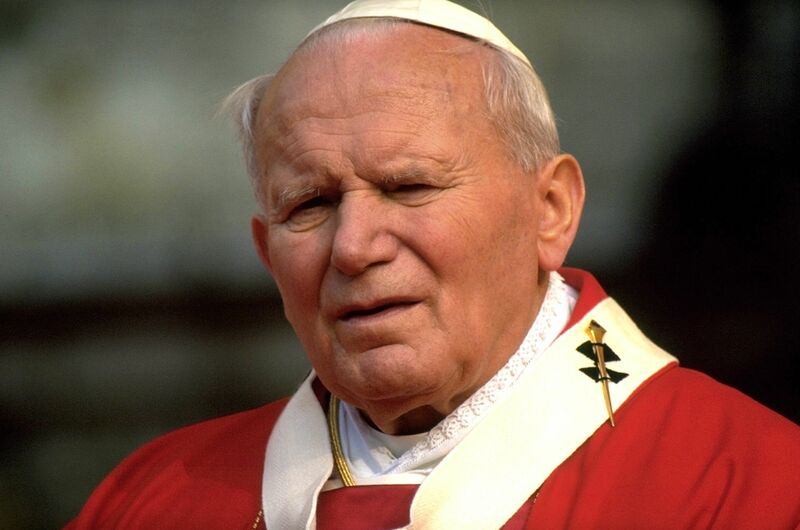 on Pope John Paul II’s encyclical (the name for a letter that the Bishop of Rome writes to the faithful that everyone is meant to take really seriously) Centesimus Annus. The letter is written to mark the centenary of a very important encyclical by Leo XIII in 1891 called Rerum Novarum, which kick-started the Catholic Social teaching tradition. Writing in 1991, just months after the reuinification of Germany and less than two years after the collapse of the Iron Curtain and the USSR, John Paul II reflects on how state-planned, centralized economies run the risk of trapping humans in a diminished spiritual, emotional, and political purgatory. The form filling maze of a bureaucracy is not a path to just and flourishing societies. The Pope was equally clear that free-market capitalism was no utopia. When the pursuit of wealth disconnects from the common good, that too is bound to be oppressive. So, there’s lots of “on-the-one-hand-and-on-the-other” in this encylical, which is actually a hallmark of the genre (at least before Francis arrived, grabbed the mic, and got all John the Baptist on us). Friedman is not a “on-the-one-hand-and-on-the-other” writer and so he gets stuck straight in. The letter warrants the attention of people like him, who are not Catholic, because “it comes from the head of a major institution in the modern world, a pre-eminently multinational institution with members in the hundreds of millions throughout the world, an institution that has great influence on the beliefs and day-to-day activities of these hundreds of millions.” The most striking aspect of the letter, in his reading, is how it gives comfort to everyone except Communists, Marxists, and those who are ok with abortion. Friedman would definitely get a passing grade if he based his essay in my class on that interpretation. He calls it “a remarkably thoughtful, comprehensive, and finely-balanced document” before noting that the role played by subsidiarity – the idea in Catholic thought that decision making should be exercised at the lowest possible level. It’s of course interesting, because subsidiarity appears as a conservative idea, but today it is almost radical because of how it acts against the logic of neoliberalism. Friedman may not have been fully aware of how his theories would work out, but it is certain that his desire to carve out space for the market free from political interference has ended up with the markets interfering with politics. Instead of small localities deliberating together, as the Popes advocate, what we have are globalised trade deals and cross-border technocrats specifying many of the technical details of how we share life together. For all the effort that Milton clearly put into being positive, Friedman’s closing comments will be of interest to any historians of anti-Catholicism, as they stink of the bias of sophisticated bigotry. But I must confess that one high-minded sentiment, passed off as if it were a self-evident proposition, sent shivers down my back: “Obedience to the truth about God and man is the first condition of freedom.” Whose “truth”? Decided by whom? Echoes of the Spanish Inquisition? The high-priest of economics doesn’t like it when the high-priest of Christianity assumes the axioms of his own religion. Better, he would suggest, to unquestioningly embrace his axioms about aggregates and margins. That’s the truth that no one can dispute. 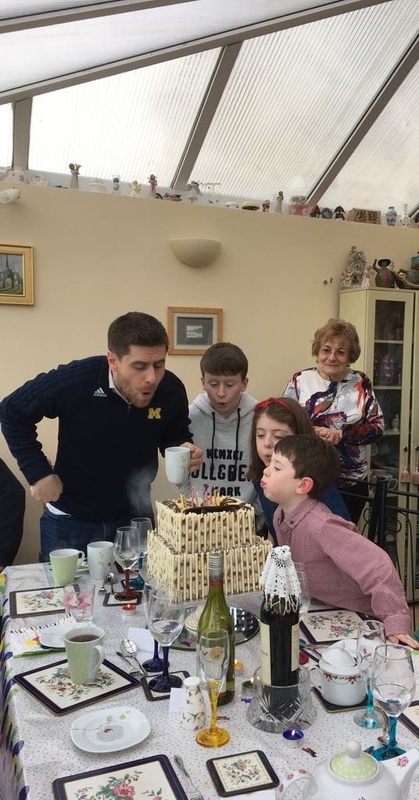 I am still committed to emulating the cool, old-skool blogging of my friend R, and their excellent Slow Growing blog, but for a host of excellent reasons, I was unable to write an update for April. I was really sick with a virus. It mimicked lymphoma pretty well, so for a period there my doctor was worried and that made me worried. I am almost certainly cancer free however, or at least I was when I last had my bloods tested. Perhaps since then I inadvertently consumed some crisps or biscuits or bread or chips or red meat or salt or peanuts or any grain or baby food or coffee or alcohol and have therefore since developed multiple tumors? Stressed out with sickness and work and other stuff, the border between April and May flew right by. But May was a momentous month and I wanted to note four important things that happened. Season 3 of the most joyous television show in history was debuted and Wife-unit and I spread it out over a week. We finished it last night and it ended deliciously. It continued its amazing chain of episodes so densely-packed with jokes and references and allusions that you feel an illustrated annotated guide should be published for each episode. It continued to be so colourful that my childlike intelligence never got bored. Most importantly, – SPOILER ALERT – Titus finally high-fived Kimmy. Now though, it is finished for another year. 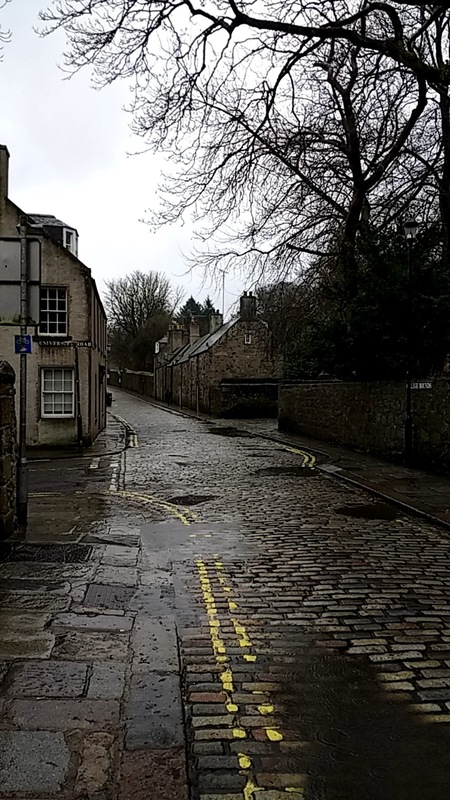 My friend Emily Hill let me help her in running a big fancy academic conference in Aberdeen. We got economists and philosophers and marketing people and business academics to talk with theologians and the theologians didn’t make the others fall asleep. It was good fun, even though it was also stressful, but like all academic conferences, one wonders at the end, “Was that it? What now?” The answer is, as with every other aspect of life, usually “The next thing” but one still anticipates a more satisfying endorphin rush. Among the things I learned was that economists should at least study JM Keynes more to learn how to write well and that there are a lot of young academics who really do get the importance of ethically examining the orthodoxies of our age. Here’s a more detailed report I wrote. I showed up at the dentist off the back of all the medical anxiety about the possible cancer and was exhausted. My dentist and his assistant (his wife) had a laptop in the surgery, with youtube loaded up and a Pakistani imam singing prayers in a mosque. It was lulling and calming in the best way possible. The sounds that his tools made were despicable but I closed my eyes shut and thought about classic goals scored by Kinkladze and four minutes later he sent me away. My friend came to collect me and I couldn’t talk for a few hours and I spent a few days subsisting on mashed bananas, mashed eggs, mashed parsnips and custard. But I avoided all the nightmares and my mouth seems to be almost better. The point is: don’t let the fear-machine angst you out if you face a dental extraction. It can go well and it probably will. 4. I became a Doctor! I finished my thesis earlier in the year and in the middle of May I was summonsed to Aberdeen to account for that mess of ill-advised analogies and dodgy reasoning. Astoundingly it, the defence went well. My examiners, Mike Laffin and William Cavanaugh, were gentle with me to begin with and then asked some really hard questions before the whole thing turned into a very enjoyable conversations. I got a letter on Friday last from the university saying that the senate had accepted my results and yesterday I sent the final thesis off to the printers who will pass it on to the registrar who will submit it in the library. And with that, almost four years of work comes to an end. It was good work and it was hard work and I am glad it is done. Right after the viva, my examiners and my supervisor and some fellow PhD students went off to a distillery and drank scotch for the day and I barely mentioned theology again until I was back at work. It was heavenly. Your Correspondent, Keeps the crowd away like a Greenpeace volunteer. 1. I moved home to Ireland. I couldn’t have timed it better. Two days after arriving home, my brother turned 30 and I got to be there as we lavished him with jokey presents and sincere gifts. We dispatched a sickeningly large pallet of our belongings by courier from Aberdeen and then filled our car and still had enough material wealth to require 2 or 3 suitcases and Wife-unit and I made our way separately home. She flew. I drove and took the boat. We rendezvoused in our new home, which was much too big and very lovely, late at night. We ate food lovingly prepared by one dear friend, in the company of another, and we breathed a sigh of relief. It is good to be home. 2. I started a new job. I am now a social theologian for the Jesuit Centre for Faith and Justice. I have an office on the top floor of an old Edwardian building in a little-loved part of Dublin. I work with social scientists and environmental researchers as we try to offer analysis on aspects of Irish society with a view to making the society in which we live a little less brutal. I still don’t quite know for sure what this means day-to-day, but I start each morning reading the Bible and doing the Examen, and I think that is probably an excellent first step for a young (maybe that’s stretching it, a “beginner”?) theologian. On Friday all the different social justice works of the Jesuits gathered for a day of discussion and it was jaw-dropping to be in a room with such an array of expertise dedicated to relieving the hardship of those most firmly in the dark. Refugees and prisoners, those mired in generational poverty and people in prison: the Jesuits seem to be everywhere you would want to be. They still have an inexplicable and frankly suspicious love of rugby, but apart from that, I have already grown very fond of them. You should get to know them. 3. I saw live music. In all the years in Aberdeen, I think we went to three gigs. One was my friend’s band. One was the Hold Steady, for which we had to drive to Glasgow. One was Ben Folds, for which I had to drive to Edinburgh. It was not a culturally rich place. Dublin is. Friends had bought us tickets to go see Postmodern Jukebox during our first week back in town and it was a tremendous reintroduction. The setup can be easily mocked but as a gig, it is infectiously good fun. Yesterday we went to the Unitarian Church to see Over the Rhine. That Karin Bergquist can sing. Still, even though my friend JM will raise a skinny fist in my direction from Coleraine, their pristine music never quite manages to get my pulse racing. It is madness to go from finishing a book to finishing a PhD to making an international move to starting a new job, in one three month period. I know this. I don’t want to do it this way. But rent has to be paid and deadlines have to be met and I will take a break after the viva and the corrections, when things have settled in a bit at work and when the boxes are unpacked. But while I cannot for a moment suggest that the month just passed has been easy, it has been marked by periods of wonderful stillness. In Aberdeen we lived on the edge of chaos in our building. We lived under the territorial disputes that the mutant seagulls of the North Sea perpetuate without cessation. There was always noise. Here, in our little secluded suburb that is way too far from our workplaces for optimum quality of life, there are commonly moments when the most obtrusive intrusion is birdsong or, increasingly, buzzing bees. It is a change we relish.